Some time in the past, Meghan Dahn and I became friends. There was food involved, as there often is with the best of things. We finally decided to formalize that exploration of flavor into a project we call Wunderbake. We hope it will appeal to all of your senses, from place to propriety. Bon appétit! I’ve previously written about UTSAV, an excellent Indian restaurant in Vernon, CT. As one of the first people to visit, I was floored by the gastronomic delights on offer and wasted no time in recommending the food to friends, acquaintances and strangers. But even more impressive than the delectable dishes was the sincere attention paid by the proprietor, Sheen, and the rest of the staff to each diner’s experience. Now, that team has opened up a new restaurant, IndiGo Bistro, located in the Shop Rite Plaza on Spencer Street in Manchester, CT. The personal touch is there in abundance and the food is spectacular. From the sizzling and tender tandoori chicken that comes with each buffet to the frequent inclusion of complimentary appetizers and desserts, the folks at Indigo Bistro work hard to make each visit as memorable and enjoyable as possible. As far as Indian restaurants in Connecticut go, I doubt you could find anywhere better, and it’s my humble belief that IndiGo is the best restaurant east of the Connecticut River. I’m not alone, either, and the string of rave reviews seems to indicate that it will be a mecca for lovers of good food for years to come. For some folks, the more expensive a meal or beverage, the better it tastes. How else to explain caviar named after diamonds or a $1,000 mint julep? I frequently thank my lucky stars that I haven’t been saddled with such a proclivity, but perhaps I should be thanking my forebears instead. During a recent trip to Ohio to visit the maternal, Slovene-Hungarian side of my family, I had an opportunity to visit more with my grandmother than I had on any previous occasion. At a dignified 4’8″, she is usually to be found ambling around the kitchen with her irratable Sun Conure, Sunny, perched on her shoulder or huddled inside her cardigan. She makes magical things in that kitchen. There’s a semi-conscious competition between my brother and me where the only way to get the upper hand is to have had Grandma’s salmon chowder more recently. Each Cheez-It dropped into the bowl is instantly transformed into a biscuit both subtly compelling and radiating with flavor. Toasted pumpkin seeds in her granola-based cookies dance salty-sweet on the taste buds. Knobs of chocolate make rare appearances, and even then are model team members contributing to the harmonious collective rather than prima donnas trying to steal the show. Said cookies are just as visually palatable, always square so as to be accommodated, tightly-packed, in her straight-edged tupperware. This visit, I discovered another string to her bow. Sitting in her kitchen, admiring the WWII-era bomb that now forms the base of a table lamp, my father and I wondered what to eat. My grandmother asked if we wanted a grilled cheese. We said yes. Dish water occupied one front burner, heated on the stove to save fuel costs. She placed a griddle on the other front burner and made two sandwiches for my dad and two for me. My mother suspects that the griddle is some three generations old. I like to think that it can recognize the flavors it touches every day, happily toasting the butter onto a side of bread or gazing wistfully at a pancake as it’s whisked over to the table and drenched in blueberry syrup. Setting the sandwiches on the table, I raised just one eyebrow at the unusual inclusion of bologna. 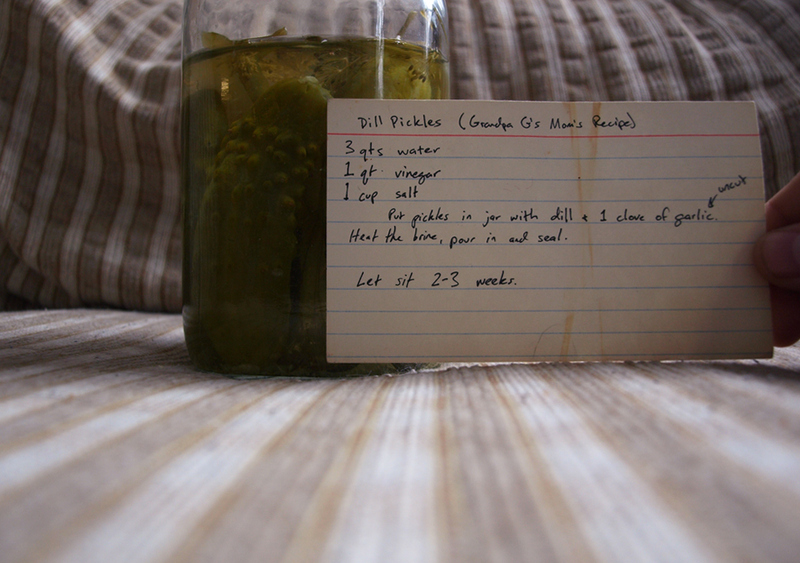 Beside my plate, she set a jar of dill pickles, the marker-scrawled label more antique and inviting than any Olde Brand for sale on store shelves. Like so much in that kitchen, she had clearly made those pickles with her own hands, which are as beautifully gnarled and knotted as roots of The Giving Tree. I took a bite of sandwich, and it was good. Still chewing, I bit into a pickle. It was the best thing I’d ever eaten. My grandmother’s husband, my grandfather, is remarkable in many ways. He got a football scholarship to Ohio State when he was young, served in the Navy, became a cop and was hit by a truck blowing through an intersection while on a police motorcycle. He was bedridden for two years, and the local funeral home would transport him from home to high school in a hearse, where he would watch my father’s his alma mater‘s football games out the back door. He has had well over 80 surgeries and worn through a series of knees, hips and shoulders. He is a bionic man. He is also the most positive person I have ever met and am likely to meet. He speaks often of his enormous luck at being treated so kindly by life. When he laughs, everyone laughs. He is also fond of declaring his latest meal, “the best I’ve ever had” or the most recent flower “the most beautiful I’ve ever seen.” My mother told me that this used to bother her, as she thought him not discerning enough. In time, she came to realize that he genuinely believed these statements each time he made them. They were always true. It’s an amazing way to live when each bite is better than the last and each flower more perfect than any that has come before, and I like to think that I have inherited this constant feeling of joy. Thus, I present to you the recipe for the Best Sandwich You’ve Ever Tasted. Start with wheat bread. 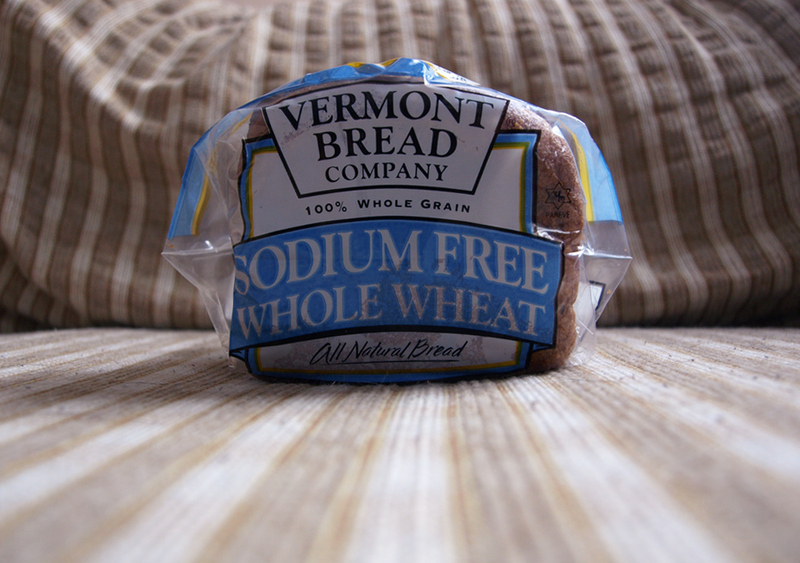 I chose this sodium-free version for no particular reason. Perhaps the blue color appealed to me. Quite probably other types of bread will work just fine. Experimenting is both fun and delicious. The choice of cheese is rather more strict, since the sharpness of the cheddar must conjure images of samurai swords, black keys on a piano and that really smart kid in math class who had the answer before you finished reading the problem. Sharp. 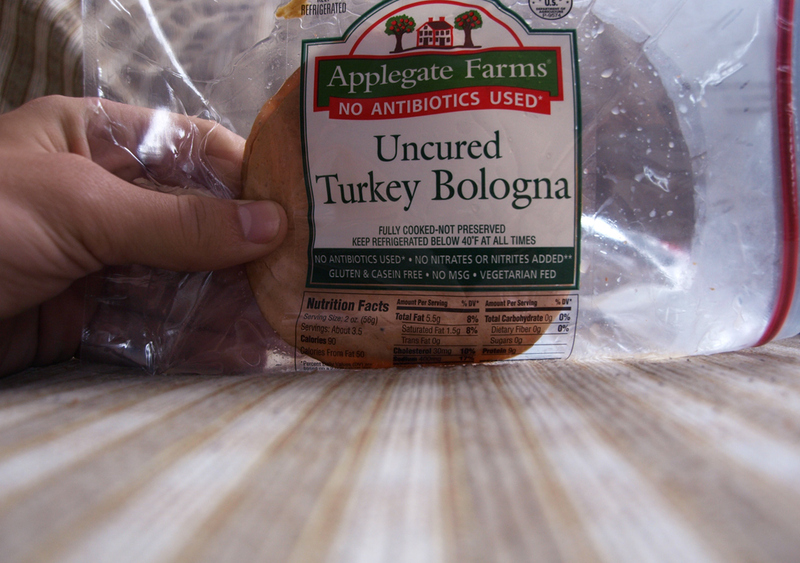 I don’t think turkey bologna was in the sandwich grandma made, but again, it’s more than adequate. It’s also probably healthier and rules in any no-red-meat types who would otherwise be ruled out of enjoying this lovely sandwich. Dill pickles are the real magic dust here, and the presence of you or your relatives in the process of their creation is fundamental. I give you the recipe as it was given to me: written on an index card. I suggest you do the same. It’s better that way. 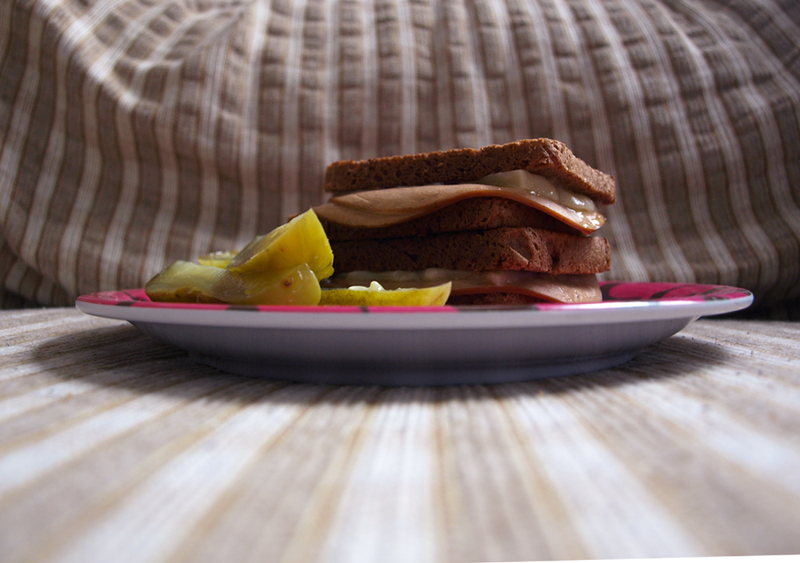 Sitting on a plate next to a rattle of dill pickle spears, the majesty of the sandwich should have you near tears. If you’re like me, anyway. For Christmas, my crystal baron Uncle Bruno and Aunt Sarah kindly sent me two lovely Pinot Noir Reidel Wine Glasses. The only downside was that one of them was broken at the base of the stem. Being occassionaly resourceful and rarely concerned with appearances, I effectively salvaged what continues to be a beautiful wine glass with a bit of floral foam. There are a few places in the Greater Hartford area that can scratch the itch when it comes to Indian food. Until recently, the closest was about 20 minutes away. But now, there is UTSAV. Alternatively translated by Indian friends as “festival” and “procession,” UTSAV heralds the arrival of great Indian food in Vernon, CT, mere minutes from where I live and even closer to my friend Dan. UTSAV only recently replaced a truly shocking Indian restaurant that occupied the same storefront. The bitter taste left in my mouth by this predecessor had me worried about UTSAV as well, but I needn’t have feared. Some good word-of-mouth buzz was enough for me to give it a chance, and I inhaled a generous portion of yummy chicken tikka masala, the dish by which all Indian restaurants in Connecticut and America are judged. Add friendly service and extra touches like a complementary, sizzling griddle of Tandoori chicken, and you’ve got everything you want in an Indian restaurant near Hartford, CT. I will surely be returning, hungry for more. Shopping is typically a hardship assignment for me. Still, there are a few notable exceptions; books, beer and wine are things I rather enjoy perusing, especially if the shop is somehow rustic or eclectic. Since I’ve discovered Whole Foods, you can go ahead and add groceries to shopping trips that I like. The yuppie/snobbish/blueblood/stuff white people like reputation of Whole Foods makes no difference to me. Its isles are packed with interesting products, tasty samples and small touches that make Big Y look like the 99 cent store. Foremost among these positives is the care with which the various items for sale seems to have been chosen. Lots of organic goods, rare cheeses, hand-picked medleys of olives and small-distribution BBQ sauces present themselves instead of the usual suspects of Kellogg, General Mills and Tyson. The selection of local goods is excellent and indicates a personal touch that is absent from most other grocery chains. Beyond the obvious strengths of Whole Foods is their design sensibility. I’d forgotten to grab a basket when I walked in the door. Just as I realized it, I spotted a stack of them right by my hand in the middle of the produce section. They’d clearly anticipated/observed such a thing happen before, and modified the UI of their store to accommodate for it. That’s a lesson that any store can learn from, and I really appreciated it. What clinched the deal was the friendliness of the staff. On both my visits, every employee I interacted with went out of their way to inform me that the sample would be ready in 60 seconds, the cheeses could be tasted before they were bought, and some simple cooking instructions for the shrimp that was being hawked. I firmly believe in making sure I’m amicable toward anyone I meet in a business capacity. People work at jobs they don’t necessarily like in order to survive, and making personal exchanges as enjoyable as possible improves the mood and quality of life for everyone. It seems that Whole Foods has taken this to heart. To close, I’ve decided to rate the mixed marinaded olive package I bought today. I’m no connoisseur, so I’ll leave out whatever names these olives probably have and just include a picture of them along with my comments. Want to mock me? Leave comments of your own. You never know when I might dofollow this blog. 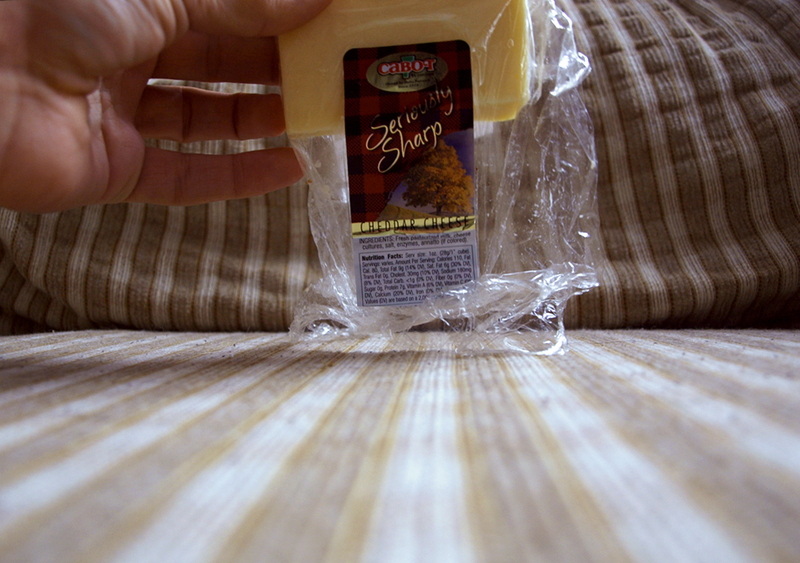 Tasty, almost buttery with a nice firm texture. Delicious! Smokey taste and a softer, fleshier texture. Odd. Quite bitter and not particular enjoyable. Tastes like what i imagine makeup would taste like. Wonderfully complimented by the herbs. Tastes like pizza. Lots of good flesh and a sharp, almost alcoholic taste. Small, hard and good. VERY buttery. Almost nothing except the pit, but a lot of interesting flavor.